E. H. Wilcox worked for the Daily Telegraph in Russia during the First World War and reported on the Russian Revolution during 1917. 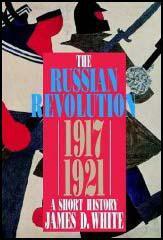 His book, Russia's Ruin, was published in 1919. From a kiosk in the garden, inflammatory harangues were delivered daily to open-mouthed crowds of workmen and soldiers in the street on the other side of the palings. 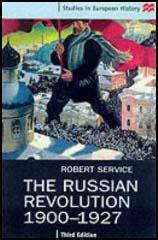 Money Lenin had in abundance, and the smartest motor-cars in Petrograd carried his army of orators into the remote working-class districts on the rim of the city. Neither his physical nor his mental equipment is of a sort to appeal to the crown. He is a little man of commonplace figure, with no outward mark of distinction that the high bald dome of his forehead. His speech is swift and fluent, simple in its form and free from ornament, but crowded with facts. He frequently introduces political and economic conceptions which can hardly be intelligible to untrained minds. Kerensky became the personification of everything that was good and noble in Russia. He was no longer the leader of the political Party, but the prophet of a new faith, the high priest of a new doctrine, which were to embrace all Russia, all mankind. Whatever he may have been before or after, during this dazzling and intoxicating interlude he had in him true elements of greatness.